All the Local Knowledge You Need! Cork City is Ireland's second largest city and renowned the world over for its friendly people and atmosphere. It is a vibrant and colourful city full of character (and characters) and the many attractions include the Shandon Bells and the Crawford Municipal Art Gallery. Close to Cork are the heritage centre at Cobh (the final departure point of the Titanic) and the famous town of Blarney and its famous castle & stone. The Irish Lord of Blarney defended his territory from the invading English by talking them into sparing his people and castle. Cork Golf Club at Little Isalnd is one of the oldest clubs in Ireland and the most prestigous membership club in Cork. Until recently visiting golfers were welcome but not actively encouraged. 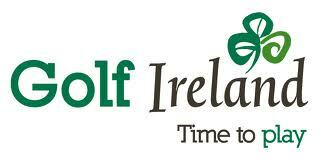 Cork is a wonderful course and well worth inclusion on a golf holiday itinerary. Not far down the road is Fota Island (near Cobh) and 15 miles south of Cork city is Kinsale and the Old Head Golf links. See also our region guide to the southwest or visit the official Cork City tourism website . Cork is the European Capital of Culture for 2005. Irish accommodation providers can register with us here.